The San Pedro Police Department has reinstated its Officer of the Month Program, and taking the honor for September was Police Constable (PC) 888 Arthur Anthony. PC Anthony has been placed as supervisor in charge of one of the reliefs at the station for the past couple of months. The Officer of the Month Program is part of a larger project being implemented to increase efficiency and productivity within the San Pedro Police Department. PC Anthony has been on the police force for the past fifteen years. According to Superintendent Sandra Bodden, PC Anthony is the type of officer that is reliable and has a great potential for leadership. “He reports for duty on time everyday and is someone who can take charge and lead the others while at work, even though he is only a constable and is holding a non-commissioned officer position. Thus, for his dedication to service, the qualities he has exhibited for the past couple of months and along with his hard work, he was chosen as Officer of the Month,” said Bodden. Bodden explained the criteria for a police officer to receive such an award. “In order for someone to be awarded as an Officer of the Month, that person must exhibit certain qualities. These include punctuality at work, the officer’s relationship with the public and as well with their colleagues. The attitude towards the job, dedication, how many arrests have been made, and the reliability to the job. 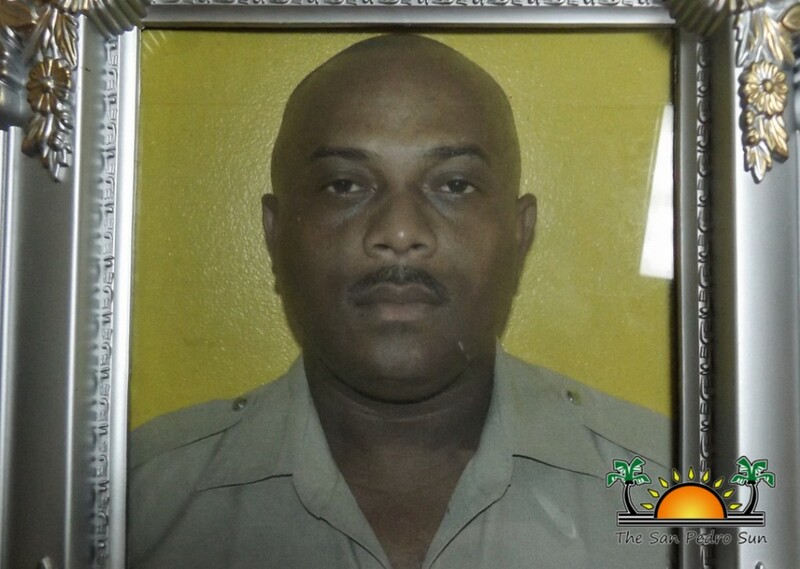 Another important factor is that the person cannot be on disciplinary charge for the month and he or she must have no disciplinary matters pending for that month,” stated Bodden. PC Anthony was referred to as a great officer who gets the work done. Upon receiving the award, PC Anthony was notified that he is also the recipient of a roundtrip flight ticket to Belize City, courtesy of Tropic Air. In the upcoming days more tokens of appreciation are expected to be received from members of the business community who have committed their support to the program after it went on hiatus. Currently, PC Anthony is in Belmopan attending a ‘Field Training Program.’ This will provide him with greater skills to supervise trainees and at the same time provide mentorship to new elements joining the force. The San Pedro Sun congratulates PC Anthony and commends him for his great work with the San Pedro Police formation.